Joseph Wheeler 1848-1920 was born 1848 in Paddington and worked firstly a stockrider and then a carrier for fifteen years in the western districts of New South Wales. 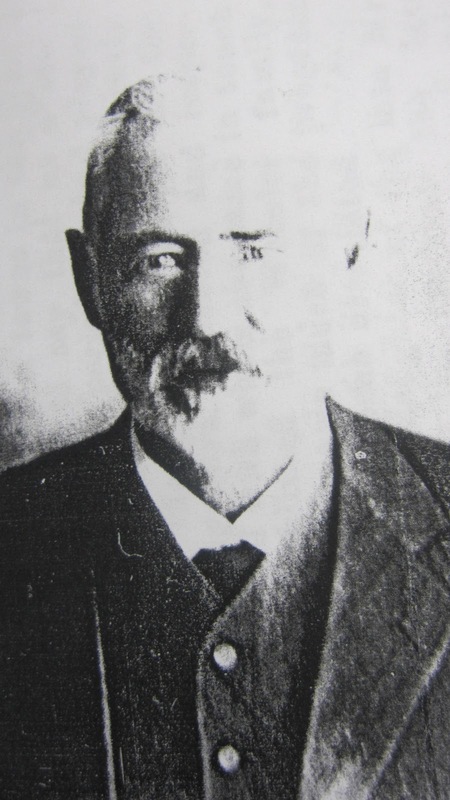 In 1882 he established crops and a dairy farm named ‘Saltbush Dairy’ in Macquarie Street South Dubbo with his brother Henry b1845 consisting of 20 cows. The brothers were leading butter producers and a supplier of dairy products to the local hospital. Joseph was skilled in treating horses and cattle for ailments or injury. Delroy High School was built in 1981 on the site of one of his wheat paddocks in West Dubbo. It is noted that Delroy originally had areas of quicksand and cattle were lost without trace. In 1868 Joseph married Emily (daughter of Thomas Smith and Harriet Mostyn - later Harriet Massart), and lived at 'Vasco', Bultje Street, Dubbo. 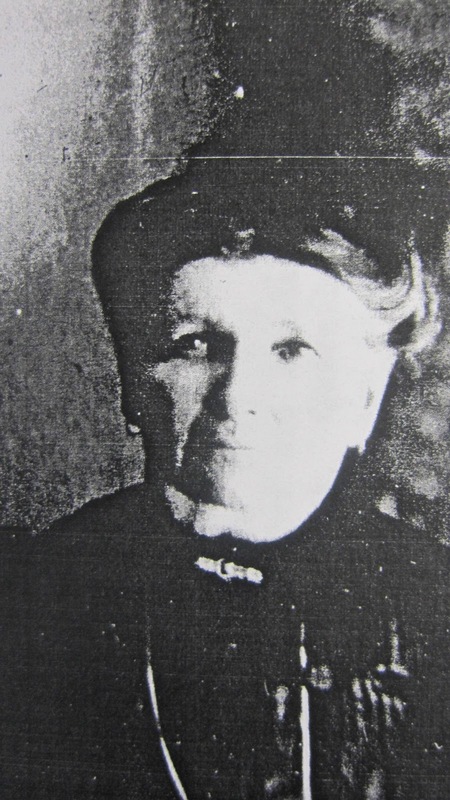 Emily's mother, Harriet Massart, was licensee of the Golden Fleece in Macquarie Street, Dubbo for many years. Her father, Thomas Smith, had arrived as a convict in 1836 on the John Barry. Joseph died in 1920 at the age of 72. In a report in the ‘Dubbo Dispatch’ in 1920, on the death of Joseph, he was described as “undoubtedly one of the best known and highly respected men in the town and district”. Joseph Wheeler had thirteen children. Their numerous descendants, to a large extent continue to reside in Dubbo, but are spread throughout Australia and overseas. Just as the town clock struck the hour of one on Wednesday the death occurred of Joseph Wheeler, of “Yanco” Bultje-street, at a local private hospital. About twelve months ago the deceased was operated upon in a local private hospital for an internal ailment. Some time afterwards he was again taken seriously ill and went to Sydney as a health trip and to secure expert medical treatment for his complaint. For 16 weeks he was an inmate of a private hospital at Manly and although for a time little or so hopes were entertained for his recovery, he rallied, and his condition improved so much that he was able to return to his home in Dubbo. It was, however, a temporary respite, for he was again taken seriously ill, and lingered on until midnight on Tuesday, when he lost consciousness, and remained in that condition until he passed away as stated above. Born at Summer Hill, Sydney in 1848, he was 71 years of age at the time of his death. His death and mother (the late Henry E. and Mrs. Wheeler) came to Dubbo when deceased was a child, and for about 70 years he has been a resident here. Early in youth he commenced a career activity which he continued until quiet recently when his health began to fail. Though he was denied the opportunity of a good education, for the reason there were no schools in the district, in his boyhood he stored up knowledge gained in the school of experience, and being also gifted with a wonderfully retentive memory. He was a good conversationalist, disputationist on almost any subject. But it was in veterinary science that he occupied a pre-eminent position. As a lad he was employed by the late W Brocklehurst he noticed his avidity for knowledge and gave him the facilities to pursue that quest which enabled him to become one of the greatest living authorities on the workings of the vital organs of stock, as well as the cause of stock diseases and other means of combating death. “Joe” Wheeler was undoubtedly one of the best known and most highly respected men in the town and district. For years he engaged in the dairying business, and his skill as a veterinary surgeon was known far and wide. His death will be a serious loss to the man on the land in this district, for his services were always available in cases of ailments amongst horses and cattle, and owners always had the greatest confidence in his veterinary knowledge. His services were always at the call of any person with a sick horse, and often times he has been known to ride or drive miles at all hours of the night to save the life of some valuable beast, which had been stricken down with an ailment or injury. Payment never troubled him – it was just his love for man’s noblest friend which prompted his humane nature, and when he heard of an animal suffering it was his desire to alleviate that suffering if possible. As a man he was always straight forward and honest, a good citizen and neighbour, a man whose word was his bond, and whose friendship and acquaintance it was good to have. He was one of the pioneers of the district, and the Wheeler family are amongst the oldest and best families of the West. His only brother, Henry, to whom he was much attached, predeceased him about 12 months ago, and the shock of his brother’s death had such an effect upon him that he never seemed the same after that sad event. No greater tribute could therefore, be paid to one who has gone before than the presence of so many serious men of the land around the grave that yesterday afternoon revered the mortal remains of the late Joseph Wheeler. It was a solemn occasion which touched sympathetic fibre in the Rector, Rev C W Leavers and gave him inspiration, eloquence, and grace of expression. His language, every word of it found a re-echoing sympathy in the breast of everyone assembled there. The Rector wielded a powerful influence for good. He spoke the feelings of all. He said what everyone else would like to have been able to say. His audience were raised above the ordinary existence and they were convinced that there is no necessity to mourn for such a man as Joseph Wheeler. For such as he there is no death. It is a transition to a higher existence, for which this early pilgrimage is a mere probation. He leaves a widow, eight sons and two daughters to mourn the loss of a faithful husband and loving parent. The sons are: Henry Ernest (Lithgow), Joseph Thomas (Manly), Charles Macquarie (Delroy), James (Spain), John (Strathfield), Hubert (Dubbo), Allan (Sydney), and Stephen Gladstone (Forbes): the daughters being: Mrs S Wilkie (Kilarney, Queensland), and Mrs H Ison (Troy). Deceased also leaves a large number of grandchildren and three great-grandchildren. Mesdames W Brown (Redfern) and R Cross (Sydney) are step-sisters, while Mr George Margison (Sydney) is a step-brother. The funeral, which was largely attended, took place yesterday afternoon, the remains being laid to rest in the Church of England portion of the general cemetery. Rev C W Leavers performed the last sad rites at the graveside. Mr E Carrell had charge of the mortuary arrangements. Death has claimed the oldest native born Dubbo resident in Emily Baxter Wheeler at the ripe old age of 81. 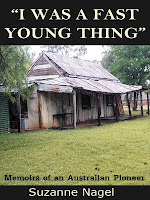 This historical old lady was born at Old Dubbo, in the days when Dubbo was a wild bush area with one or two scattered houses. For 81 years she had resided here and from the bush place of her childhood days she had watched the growth and development of the town and district until she was left it one of the largest towns in the west. And it is safe to say that as a citizen of that long period she had played her part nobly and well in the early work of the grand old people of pioneering days. Honoured and respected by all whom she came in touch and established the Wheeler Family with whose name much of the progress of Dubbo has been associated. Deceased daughter of the late Mr and Mrs Smith. Married the late Joseph Wheeler about 62 years ago and was pre-deceased by him 9 years ago. For some time this venerable old lady enjoyed the best of health but during the days prior to her death she was able to be about. Her demise to a certain degree was bought on sudden and unexpectedly, and the sad event took place at her late residence 29 Bultje Street Dubbo on Wednesday evening. She is survived by two daughters and eight sons besides a large number of relatives and grandchildren, and those all have the sympathy and condolences of the whole of the people of Dubbo and district and other parts of the state in their sad bereavement. The daughters are Mesdames S Wilkie (Warwick QLD), Harry Ison (Dubbo), and the sons of Messrs Ernest (Lithgow), Joseph (Manly), Charles (Dubbo), James (Argentine), Hubert (Gilgandra), S Gladstone (Cowra), Allan (Cowra) and Jack (Broken Hill). The funeral cortège, which was a very large and representative one took place this morning, the remains being interred in the Church of England portion of the Dubbo Cemetery. A large number of handsome wreaths were placed upon the coffin. The burial service was read by RV C/W Leavers (Rector) and the funeral arrangements carried out by E Lees. © 2012-2016 HistoricalFamilies.com. Simple theme. Powered by Blogger.